Ground Loops is a brand new label about sample pack business based on underground music for all DJs and producers. All the samples are 100% royalty free, recorded and mixed in professional24-bit quality. 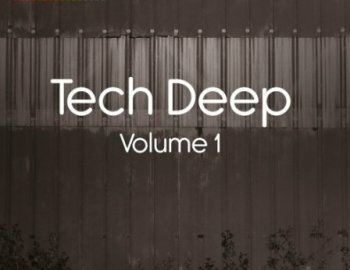 Tech Deep Vol 1 is the first sample pack for Ground Loops about one tech house and deep. Featuring 495 MB of Tech House and Deep Bass, Drum Loops, EFX, Full Loops, Lead Extra, Percussion Loops and Top Loops you can create your fresh and underground tech house and deep groove simply and quickly. Inside the folders you’ll found 106 samples in WAV format and 74 samples in AIFF format, you can use all in Apple Logic, Ableton Live, Pro Tools, Cubase and others DAW.